I wondered if it was worthwhile to post an entry on full bust adjustment (FBA) and dart rotation. The internet has tons of guides for FBA. But, I haven't seen many FBA and dart rotation tutorials. At the Palmer/Pletsch retreat, Marta Alto taught a segment on dart rotation and how it could be used as a style element as well adding form and shape to a garment. 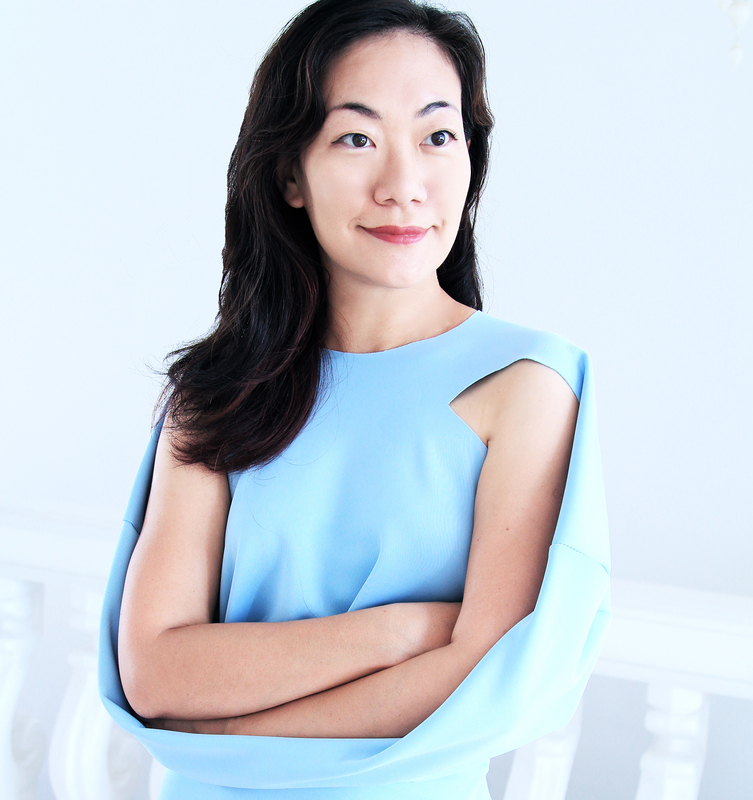 Although, I tried dart rotation in the past, her lesson helped build my confidence to try new ways to use this technique when making a FBA. 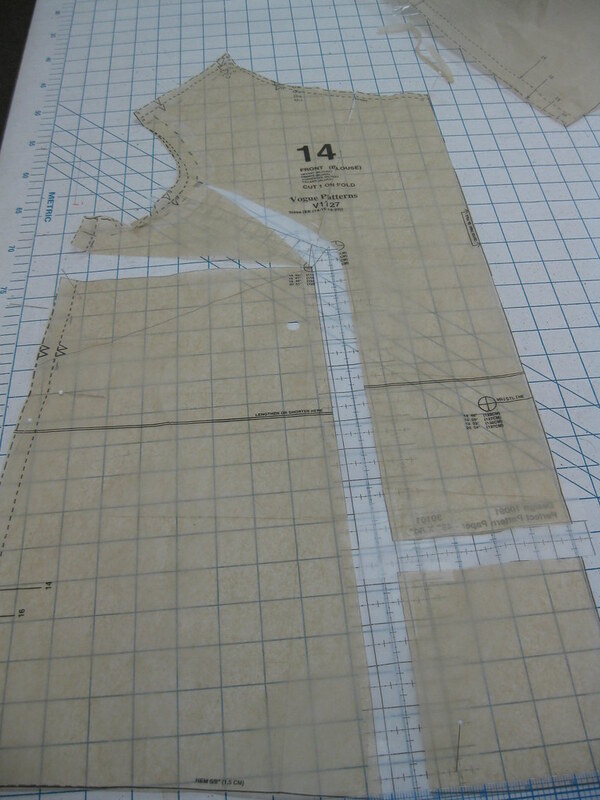 It is most challenging to make a FBA on a one piece front bodice. Sometimes the dart is too large and it is difficult to form without dimpling or sharp points. Today I'd like to share some examples of how I made a FBA combined with dart rotation. My first illustration is a simple one. 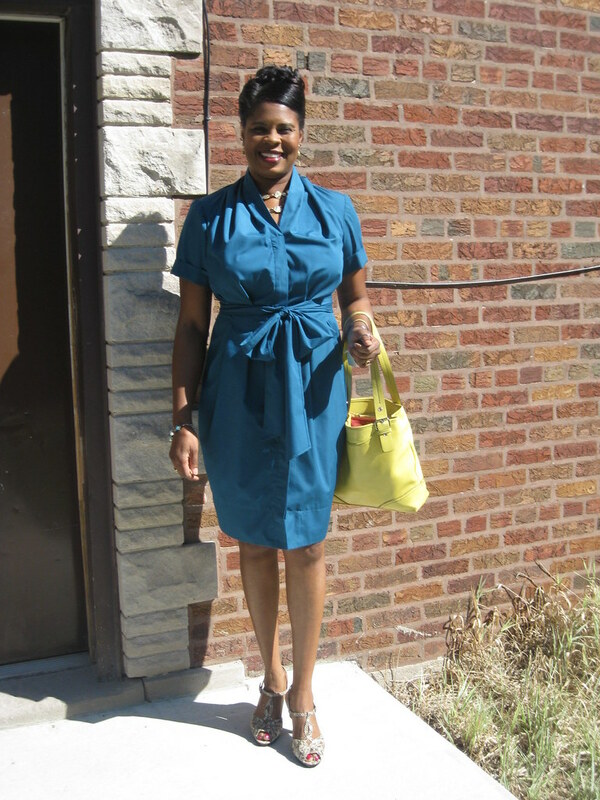 It is Simplicity 2594-C, top with pleats below the yoke. 1. 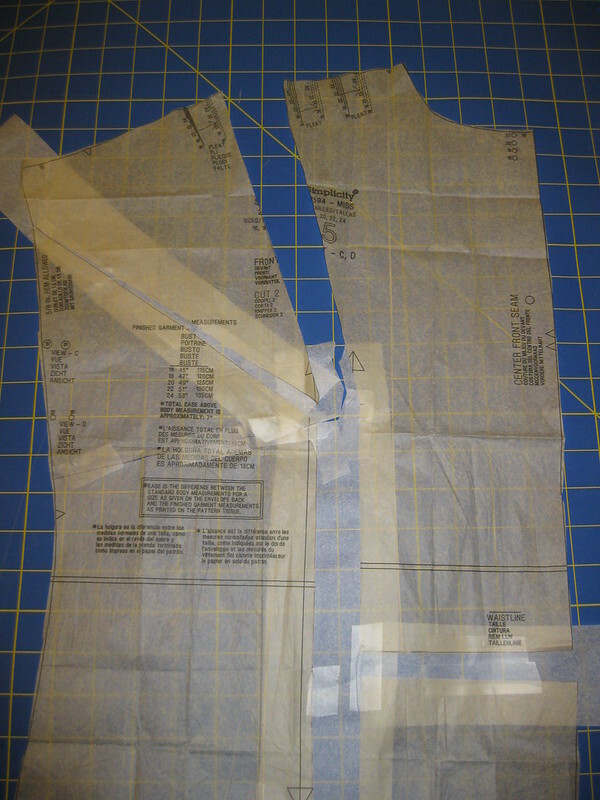 Make the standard FBA on the bodice. I used the Palmer/Pletsch "Y" method because the FBA was greater than 1 inch. 2. Fill in the FBA with tissue paper, leaving one lege of the "Y" and the dart open. 4. Next fill in the rotated dart, which is now part of the pleated area of the top. 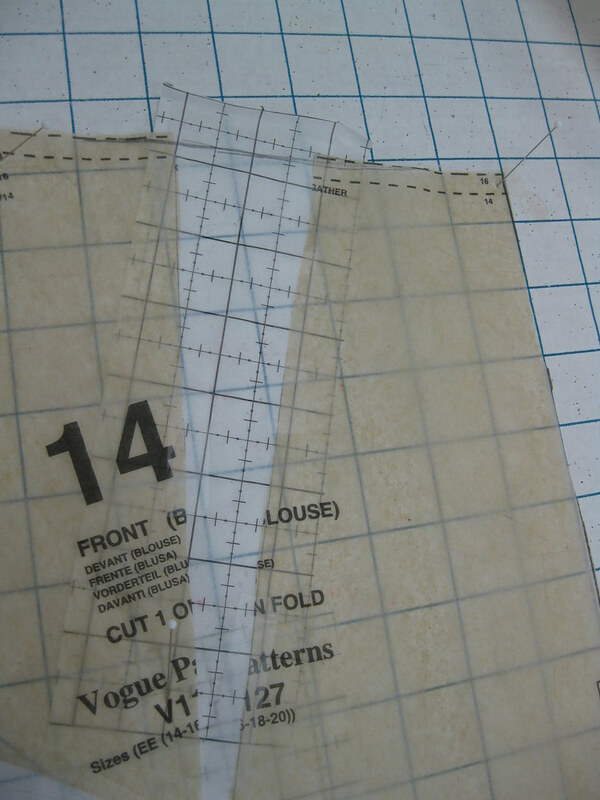 Redraw the stitching lines for the pleats, evenly distributing the excess. 5. No bust darts on top pictured below. Next example is FBA dart rotation on Vogue 1127. 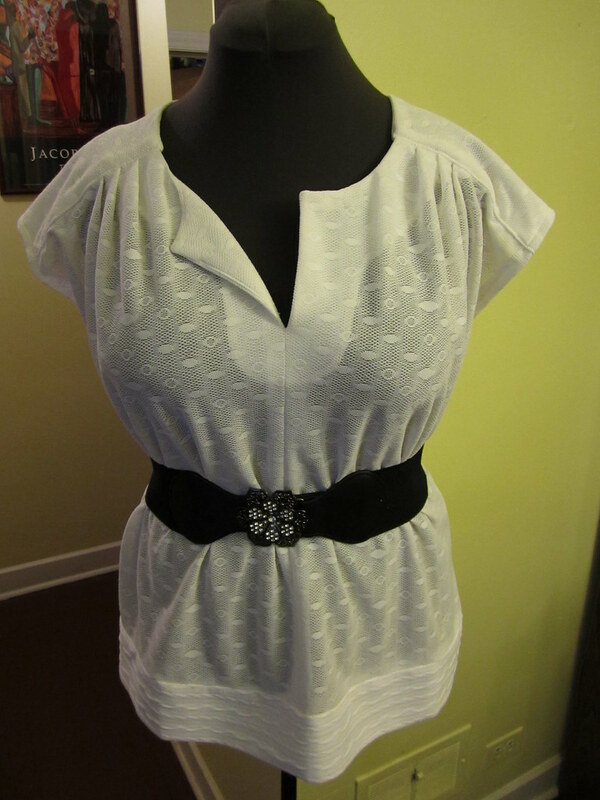 A gathered neckline blouse with bow tie. 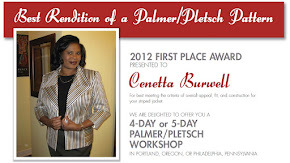 This was fitted at the Palmer/Pletch workshop in 2012. 1. Make the standard FBA on the bodice. Do not fill in the new bust dart with tissue. 2. 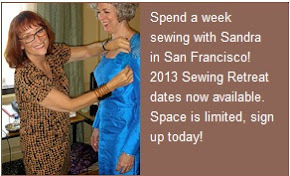 Next, slash the neckline to rotate the dart. Now tape the slash made for the bust together. 3. 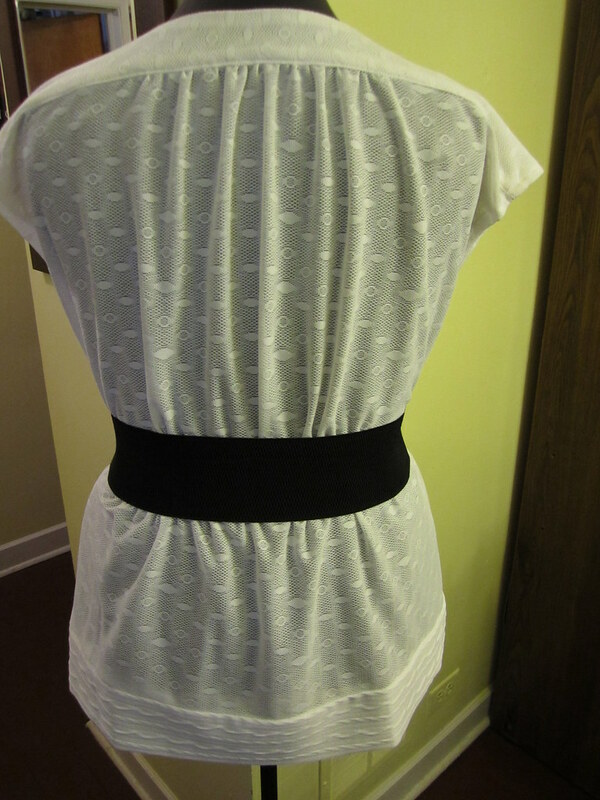 Fill in the slash at the neckline with tissue. And my final example, is Vogue 1220. This example does not include all of the steps for making the FBA. 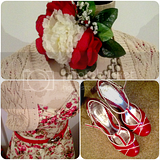 I think you'll understand how to make the FBA and rotate the dart to the shoulder pleats. 1. 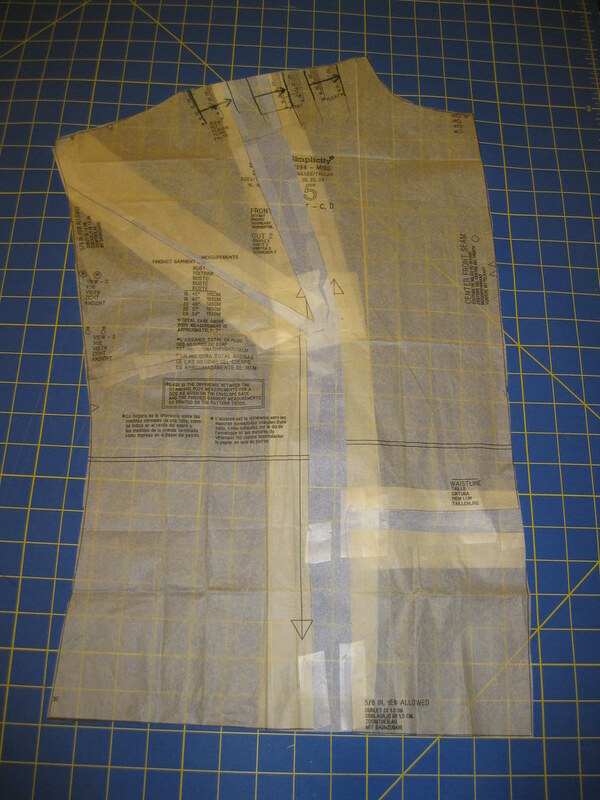 Remove the side back bodice from the front bodice and set it aside until the FBA and the rotation are complete. 2. 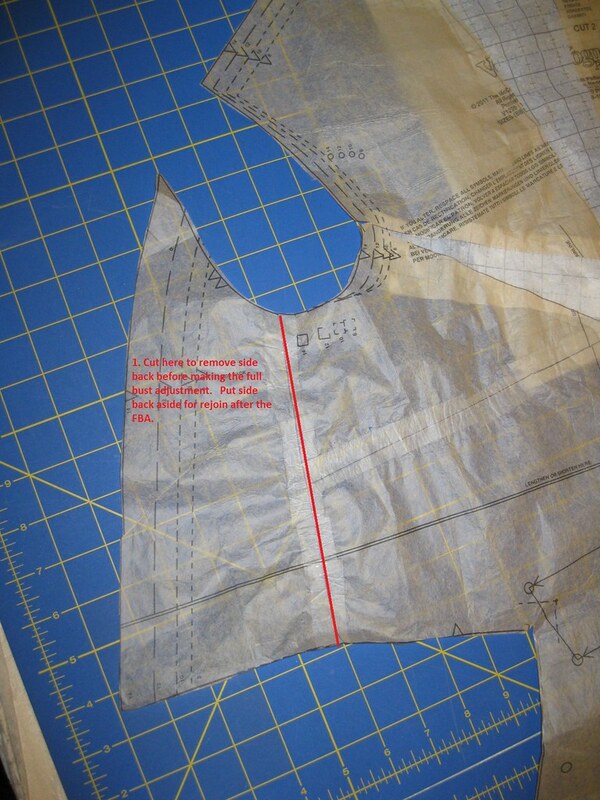 Follow the steps for making a standard FBA and rotate the dart to the pleated area of the bodice. 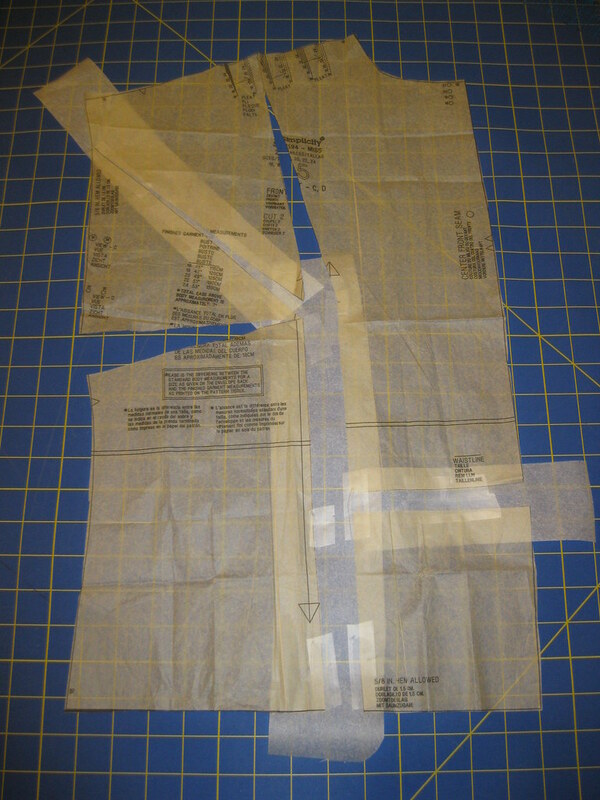 Tape the slash for the bust dart together and tape the side back bodice in place. 3. 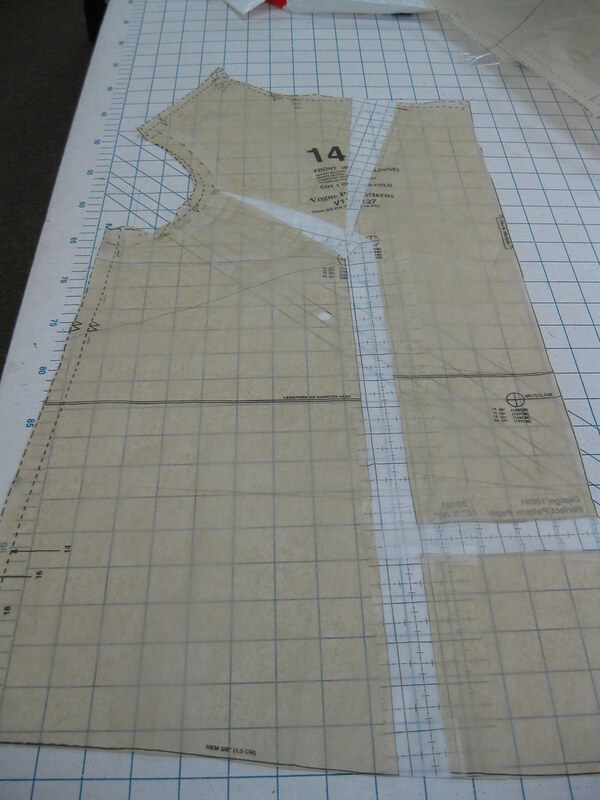 Redraw the pleats so they are evenly distributed at the joining edge. That's it. thank you, Cenetta! I needed to see all of these alterations! Great tips! I love your top and dress, they're both very nice! Many, MANY thanks to you for sharing these most helpful hints. 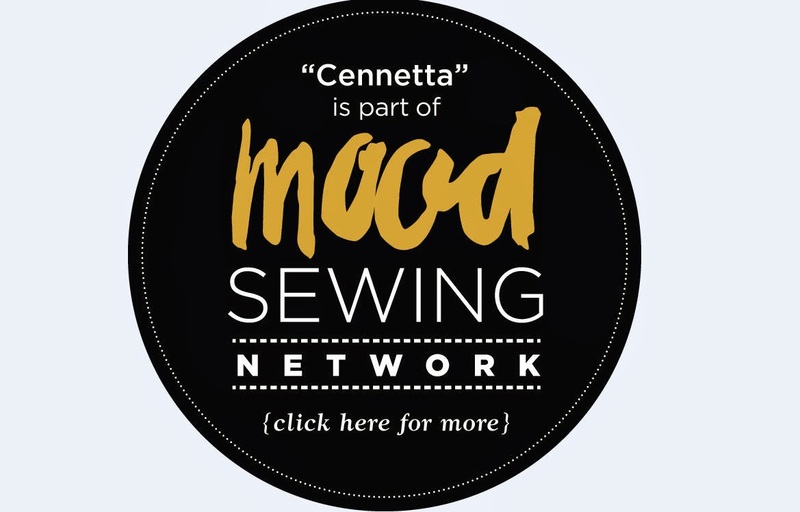 I *hate* sewing darts in knits and am always looking for ways to get rid of them. My FBA usually produces huge darts that need addressing. I will try to what you suggested. Thank you again. Great post. Very clear instructions. great post, I always learn something from you or see a pattern I hadn't noticed. thanks! Thank you! Very useful tutorial, even for those who don't usually do FBAs. 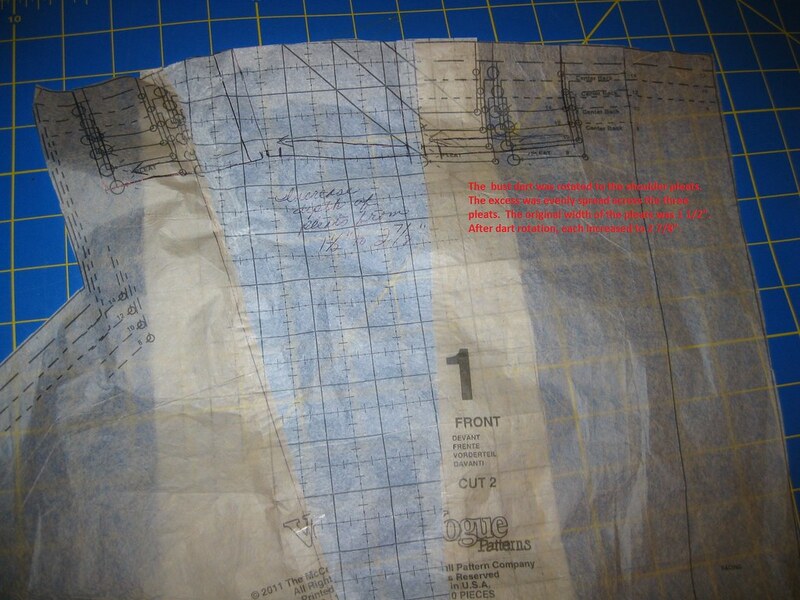 One thing I notice is that you extend the vertical FBA front separation all the way to the hem. 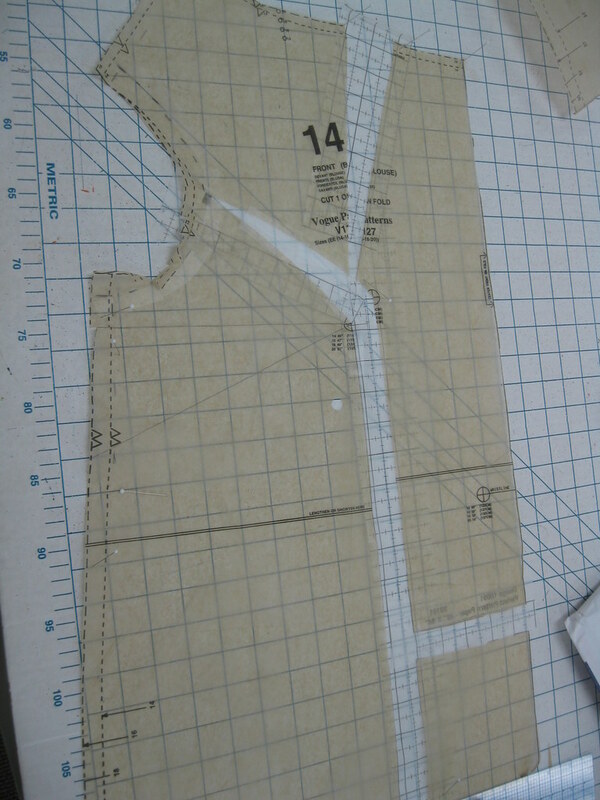 Do you later make the pattern narrower at the waist (probably not) and hipline, or, knowing that your FBA will widen the pattern at the hip, do you cut it narrower than your measurements to begin with? 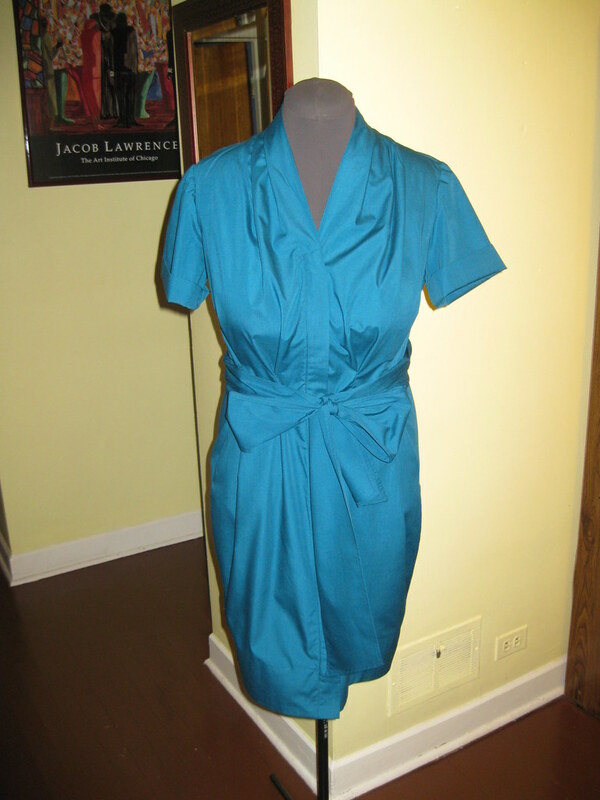 Almost always I have to make the pattern narrower from the base of the bust to the hem. 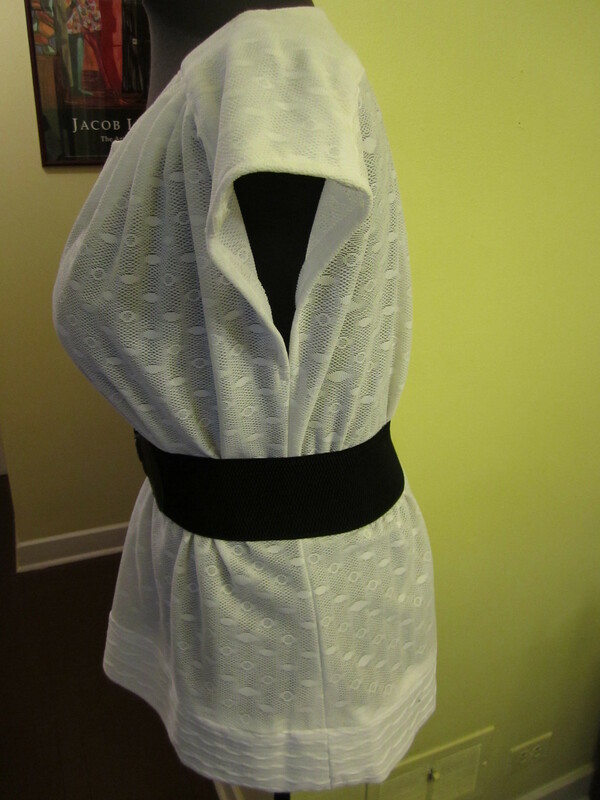 This is done as I fit the actual garment. Thanks everyone. I'm glad you find the information usual. I have never made a Y fba even though I add more than an inch. 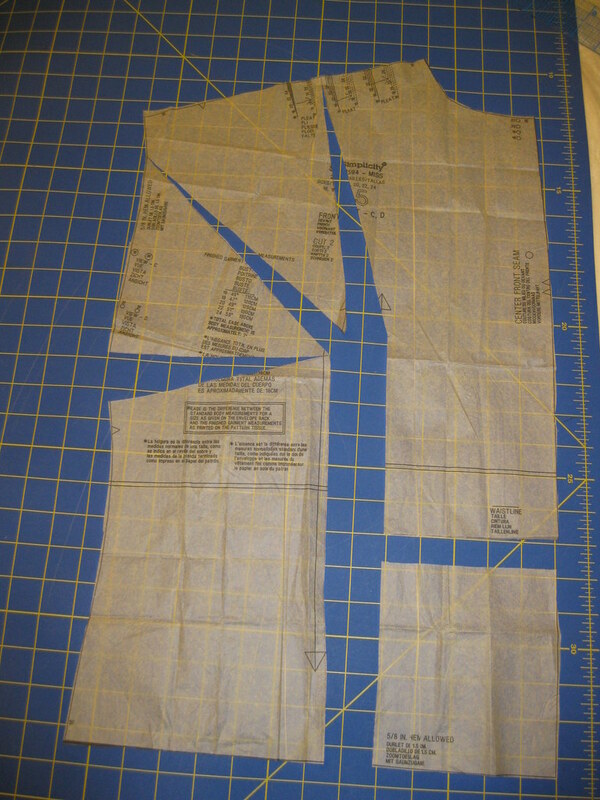 With narrow shoulders and front I thought that I'd get too much width, but this looks like it adds a smaller dart which is certainly easier to sew. What would you do if you were me? You are correct about the depth of the dart. The Y FBA can help with covering skin in the lower arm area. It may be too much coverage for you. Experiment to see if this method works for you. I hope that helps answer you question. Thanks, I will experiment with it. Great info which I will use in the future. Thanks! I will definitely bookmark this article for future use, Thanks! I really like the examples you show of the pattern work, thanks so much! Thank you so much for posting all of these! I've only rotated darts once, and was a little less than pleased with the result. Your tute makes it clear and I'm eager to try this again! This was very helpful. 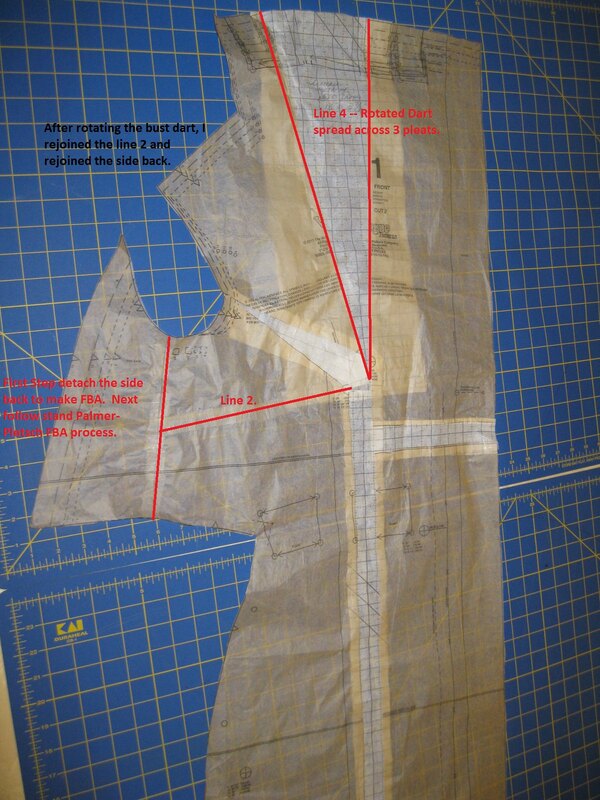 I use their method for FBA and sometimes get concerned about rotating the dart to shoulder pleats or gathers. Seeing your versions, it does seem to work very well. I will bookmark this post for future reference. Thank you! I have been sitting here trying to work out the best way to approach this! Thanks for the Periscope tutorial tonight!! !